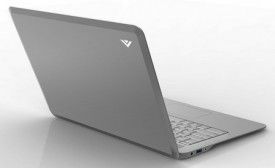 Back when we first saw Vizio’s PC offering at CES the ‘thin + light’ offering was not officially an Ultrabook, but rather just an Ultrabook alternative, or ‘ultrathin’ as we like to call them. That’s changed however; Vizio’s offering, which seems to still be named ‘Thin + Light’, carries the official Ultrabook designation which means you can expect a certain range of features, performance, battery life, and size/weight. Coming in 14″ (CT14) and 15.6″ (CT15) flavors, the Vizio Thin + Light is based on Ivy Bridge. 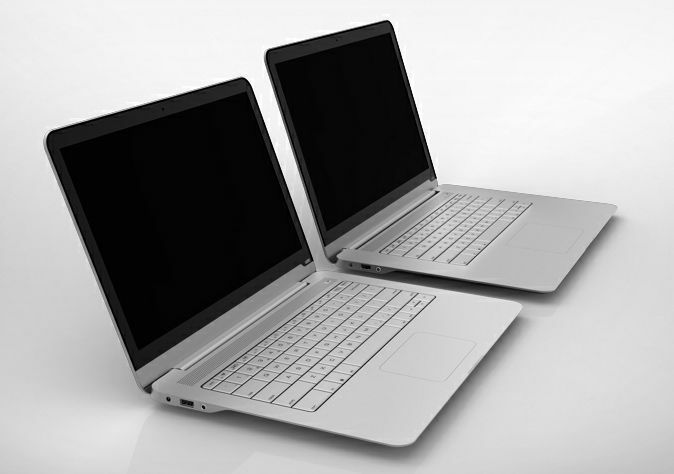 You’ll notice that we’re calling this an ‘Ultrabook’ instead of ‘Ultrabooks’, that’s because both feature the exact same ports, specs, and features. The only thing that differs between them in the display, which we’ll get to in just a minute. The whole range of Intel Ivy Bridge ULV processors is available: Core i3-3217U (1.8GHz), i5-3317U (1.7GHz), or i7-3517U (1.9GHz). 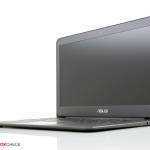 All models are equipped with 4GB of RAM and integrated HD 4000 graphics. If the numbers on Vizio’s page are to be believed, the RAM is slower at 1333MHz than the max-supported 1600MHz that you’ll find in most Ivy Bridge Ultrabooks. Storage space is 128GB of SSD across all except the i7 where it gets a bump to 256GB. Both units come with Windows 7 Signature which they say has no bloatware (unless you consider Window Live software bloatware). The screens are the only thing to set the two sizes apart. It’s good to see that an HDTV manufacturer isn’t sending this out with low res screens; the 14″ is equipped with a 1600×900 display while the 15.6″ comes with a full 1920×1080 display. We’ve confirmed that the 1080p screen is IPS, but the 1600×900 screen doesn’t appear to be. We’ll inevitably see screen comparisons against the Zenbook Prime’s quality 1080p IPS display. The ports are going to be the hardest sell on the Vizio Thin + Light Ultrabook. All you’re getting is 2xUSB 3.0, full HDMI, and a 3.5mm headphone jack. This is not going to cut it for some people and is a far cry from other port-packed Ultrabooks. The keyboard looks a bit dated (and are no backlit), but it hearkens back to my old HP laptop which had one of the best keyboards I’ve ever used. Not every keyboard needs to be chiclet-style! Both units are 17mm thick, not bad for a 14″ and 15.6″ Ultrabook, and make par for weight in their size class at 1.5kg and 1.7kg respectively. The 14″ version packs in a 51Wh battery while you’ll find 56Wh on the 15.6″ version. 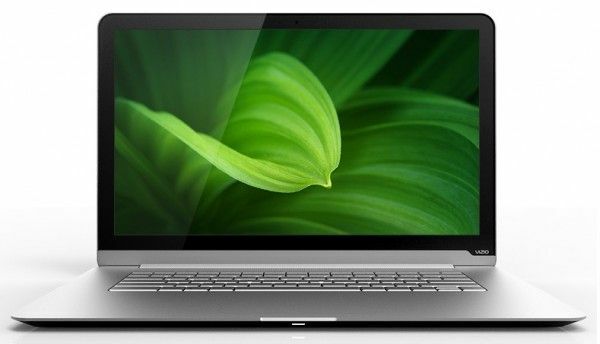 As with other companies, customers purchasing Vizio’s Ultrabook will be eligible to upgrade to Windows 8 for $14.99 through Microsoft’s upgrade offer. Vizio’s Thin and Light Ultrabook isn’t the cheapest in town, but it does come with better-than-standard displays. The 14″ version (1600×900 display) starts at $899 (i3, 128GB SSD) and goes up to $1199 (i7, 256GB SSD). The 15.6″ version (1920×1080 display) starts at $949 (i3, 128GB SSD) and goes as high as $1249 (i7, 256GB SSD). 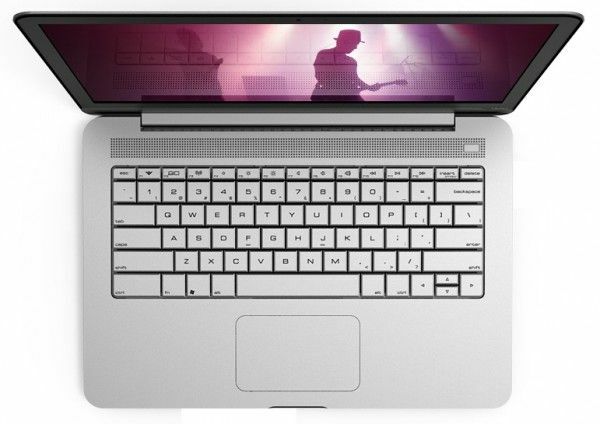 All models, except for the low-end 15.6″, of the Vizio Thin and Light Ultrabook can be pre-ordered today directly from Vizio (see ‘Buy Now’ at the top right). The currently un-pre-orderable model is currently listed as “coming soon”. Thanks to Mac Landis for the tip! Haha silly mistake on my end. Fixed, thanks. I just love the clean look of this laptop. I think its a good start for Vizio. Looks decent, great LCD, but lack of SD card reader sticks out like a sore thumb. It’s a great, great laptop for the money. The image has no pre-installed junk on it, they fought Intel and MS to not have any ugly stickers on it; the keyboard and trackpad testing hint at great things, has a great screen, and a real SSD, it looks great. When the 14″ version hits $999, I think my house will finally have an ultrabook. I should have said when the 14″ i5 version hits $999 my house will finally have an Ultrabook. I’m very much NOT happy about the lack of an SD card, but I think I like it enough to go without. Since it has a 51WHr battery, I think their claims are fairly realistic. From what I have seen, aside from actual hardware differences(CPU, RAM, HDD, so on) there’s isn’t too much variation in battery life between manufacturers. 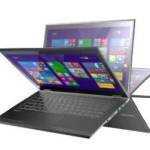 51WHr is actually larger in size than the 13-inch Zenbook and that gets pretty close to 7 hours. Also, I’m not sure what’s going on with the battery life differences between various Core chips. There is indeed some difference even with light load. However, its nowhere as big as Vizio’s site suggests. So that one will have to be verified in a review. Me too! Am in contact with Vizio to get a review sample in. The i5 is already only $949?!? …. Sooo tempted.. 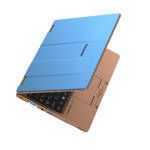 Looking it from the side only I find similarity with Samsung series 9? Keyboard looks very bad. No way for a professional use. These are two awesome entry machines forUB upstart Vizio. Wish they had an 11 or 13″ model. Lack of backlit keyboard is a big oversight in my book. Keyboard itself perhaps iffy. Lack of SSD card slot, not so big a deal for me anyway. But pricing is great and they look very sharp. But it will be nice once UB OEMs start installing displays worthy of competing against MBA Retina displays. There used to be a day when Windows PCs could pi$$ and sh1t all over Apple hardware in the spec department. PC OEMs really need to step up their game if they don’t want this to be an all Mac world. In short, this is a good start for Vizio…make me an 11″ model with backlit keyboard and better display and I’m in. Nice laptop but the keyboard functionality is crap! Tiny up/down arrow keys, no dedicated page up/down, huge buttons on the sides that could have been smaller to make room for arrow keys, page up/down. This laptop may work well for casual usage, but if you’re trying to do any real work on it, the lack of keys will hinder your efficiency! Please Vizio if you’re reading this – fix your keyboard layout! Take a look at the Samsung 9 ultrabook keyboard layout for clues on how to do make a decent one. I was going to buy at least 2 of the 15.6″ notebooks until I saw the hideous and unusable keyboard. I just checked one out at the Windows store in my area and it looks great. While the keyboard seems like it would be difficult to use, I found it easier to type on than the new Samsung Series 9. Is this still a good choice for a laptop for office use?